Download (Free) - "Good News, Great Joy" - A Savior is Born! 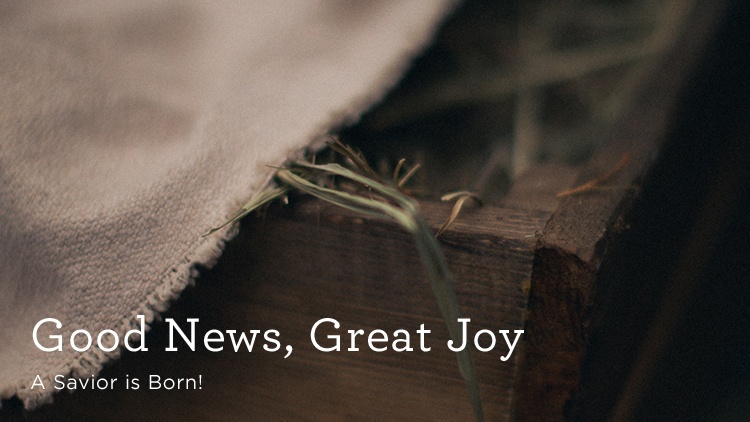 Blog Download (Free) - "Good News, Great Joy" - A Savior is Born! What is the purpose behind the celebration of Christmas? For those who are in Christ, its meaning rests solely on the birth of Jesus. Based on his own careful investigation, Luke’s account of the birth of Christ is more than a heartwarming story – it is true, and it is life-changing. It is good news, and it brings great joy to a world darkened by sin. In these sermons Alistair Begg draws our attention to the truth of the nativity story. This story, in some ways simple and in others so profound, is at the heart of understanding who God is and what He has done. This is the story of God’s willingness to come and meet us where we are, to use unlikely people for His glory, and to supernaturally intervene on our behalf. A Child is born! Christmas is cause for celebration because God Himself has come.